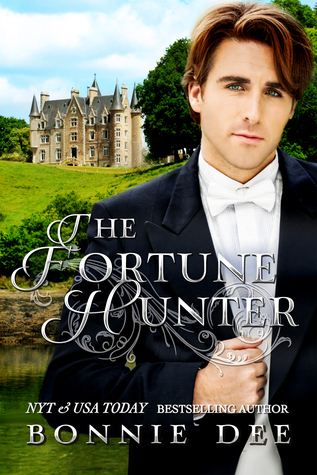 The Fortune Hunter Review ~ Loved it … 10 out of 10! Cover Art: A young man dressed in white tie attire standing in the foreground with a stately home in the background. Synopsis: Accurate and sets the scene without giving too much away. There is no warning of adult content on retail site. Plot: The story takes place in the 1920s. Margaret Gresham grew up with her cousins Julian and James Needham and brings home her new fiancé Halstead Wiley to meet Julian. James died after the war. From the moment he meets Halstead, Julian suspects him to be a fraud and a fortune hunter and decides to prove it. However once he gets to know him, even as the fake he is, Julian finds they are drawn to each other. Main Characters: WW1 veteran Halstead Wiley, real name Hal Stanton, grew up in an orphanage then enlisted to fight in the war (WW1), and now with no prospects of employment, he has decided to marry into money to give himself a comfortable life, in return he will be loyal to his wife and try to make her happy. Margaret Gresham, fiancée of Halstead, who is marrying for companionship rather than being left on the shelf. Julian Needham, Margaret’s cousin who is determined to prove Halstead is a liar, a fortune hunter and a fraud. Secondary Characters: Julian’s parents, plus Abner Barry, neighbouring farmer and childhood friend to Margaret and Julian, all contribute to the story. Conflict & Climax: We have growing conflict between Julian and Halsted as Julian does not trust Hal and is determined to uncover the truth. A climax occurs part way through the book when Julian receives the verdict. We then follow the three main characters afterwards until the story reaches its natural conclusion. Writing Style: Written in the third person in an easy flowing style. Editing/Formatting: Well presented, each chapter begins on a new page with no superfluous whitespace and tidy margins. Each chapter is headed in a large bold font and begins on a new page. There were no continuity or spelling errors that I could see. Price: Very reasonable for the length of the book. Conclusion: A well written story by an established author. I loved it. I have to give a 10* rating for this one. Previous Rebel Review ~ Beautiful story … 10 out of 10! Next Stephan’s Monster Review ~ Worth reading … 9 out of 10!